A cracked heat exchanger in a furnace can be a potentially dangerous situation. The main reason for this is due to the fact that furnaces are located inside the living area of the particular home or business. For this reason, I want to share with you some of the common symptoms and causes of a cracked heat exchanger in a furnace. If there is a crack in the furnace’s heat exchanger, there will be some signs and symptoms that are normally evident concerning the furnace. Evidence of Soot: If there is evidence of soot buildup inside of the furnace, then it’s very possible that there could be a crack in the heat exchanger. This is due to the combustion process being incomplete. Other problems could cause this symptom as well such as balance issues with the burners. Carbon Monoxide Levels are High: If there is a carbon monoxide detector/alarm in your home or business (preferably near the furnace), then it will notify you if carbon monoxide is invading your living space. Normally there will also be a strong strange odor as well. If this is the case, then it’s possible that the heat exchanger is the culprit. Strange Flame: If the flame coming from the burner is flickering/jumping and is yellow or orange, rather than blue, then there’s probably a combustion issue. If the flame is jumping or flickering, also known as a flame rollout, it will normally trigger a safety limit switch which will cause the furnace to shut down immediately. A cracked heat exchanger can be a likely cause for this. There are other possible culprits as well such as dirty burners. Now that we’ve covered some common symptoms concerning a heat exchanger with a crack in it, let’s get into some of the likely causes. Dirty Air Filter: The most preventative and cheapest to avoid cause of a cracked heat exchanger is a dirty air filter. A dirty or clogged air filter hinders the air flow within the furnace during the heating process. 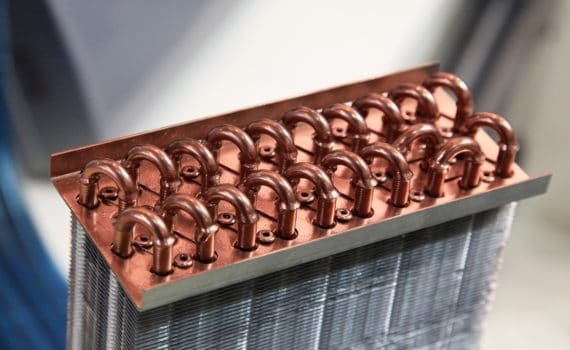 Because the air flow is restricted, the heat in the heat exchanger is not able to escape fast enough and this causes the heat exchanger to overheat. This overheating causes unneeded stress which can eventually result in cracks. 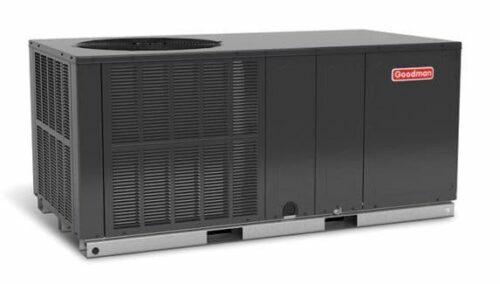 Improperly Sized Furnace or Duct Work: If a furnace is too big for the connected duct work, the air flow will again be restricted and cause similar problems as a dirty or clogged air filter. In this case the heat that the furnace generates is not able to escape quick enough and the heat exchanger suffers overheating. This is because the duct work is not large enough in diameter to support the amount of heated air being pushed through the duct work. This is usually due to the duct work simply being too small or the furnace is too big for the building and the duct work. First of all, it is best to have a certified HVAC technician come out and assess the situation. 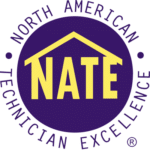 Rather than just a basic visual inspection, HVAC technicians now have better tools to assist in determining if the furnace’s heat exchanger is actually cracked or not. For example, we at Cagle Service use a specialized snake camera that is both small enough and flexible enough to inspect the heat exchanger much more thoroughly than a basic visual inspection. We even show the video feed of what we find to our customers. Why? We do this because we want our customers to see the actual crack and feel confident that our findings are honest and legit. Sadly, there are companies and technicians out there who do try to pull a cracked heat exchanger scam on innocent customers and we want to combat that. It’s recommended to get a 2nd opinion from another technician/contractor when determining if a heat exchanger is cracked. Now, if the heat exchanger is cracked, there are normally two options. Those options would be to replace the heat exchanger or to replace the furnace altogether. Obviously, cost and other factors will determine this decision. Your local HVAC technician can help you determine what the best route would be to take for your particular situation.